At Aviation Training Center the most important thing to us is to teach using a proven format that is both the safest and most effective way for students to learn to fly. While our process may differ from other flight schools, it is similar to methods used by institutions such as the military and airlines. Many flight schools push their students into the plane too quickly because it allows the pilot to bill those hours in the plane. A plane is a fun place to be, however it is a poor classroom. Beginning the process of learning to fly on a simulator has many benefits. First and foremost it is a guaranteed safe environment. Students have a chance to learn where all the instruments are and become familiar with such things as what is the yoke, where the throttle quadrant is, and how to use the rudder pedals. You'll find taxiing a plane is a bit different from driving your car and can take a few tries to get the hang of it. Simulator training is cost effective compared to the cost of training in a plane. Now, if you are anxious to jump into a plane right away, rest assured, the initial time investment on a simulator can be accomplished in as little as 2-3 hours. Come in for an introductory flight and see if learning to fly is for you. We guarantee after the first flight you’ll be grinning ear to ear and leave with a log book and your first logged hour signed off by a Certified Flight Instructor in hand! 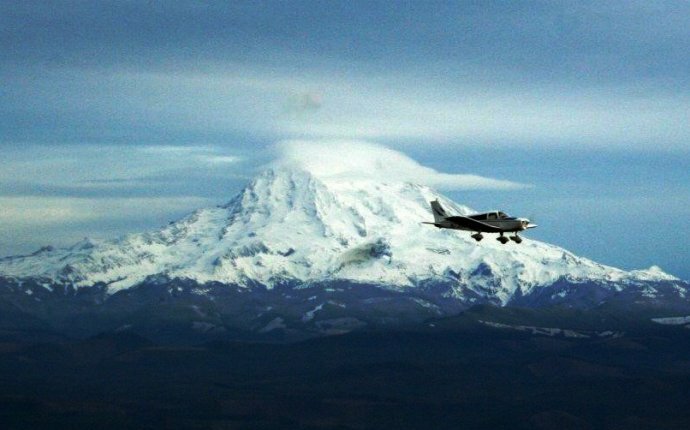 If you would like to receive our introductory packet that details the process new pilots must go through to learn to fly, please send us a message below or call us at 425-271-1930.